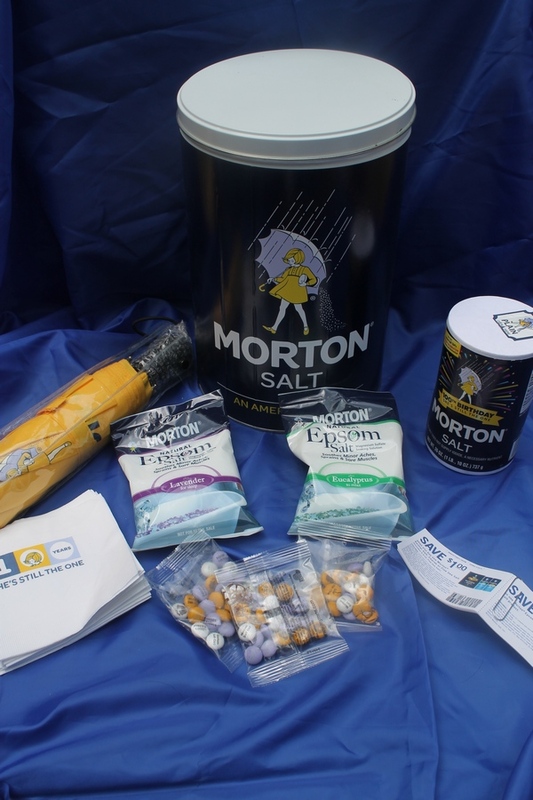 Celebrate Morton Salt Girl’s 100th Birthday with a Spa Party! Did you know that the Morton Salt Girl recently turned 100? She looks pretty fantastic for her age! A milestone like that deserves a party, don’t you think? Fortunately, Mommy Parties sent me a great kit to help make it happen. It was filled with Morton products, coupons, themed candies, an umbrella, coupons and plenty of ideas for an amazing party. 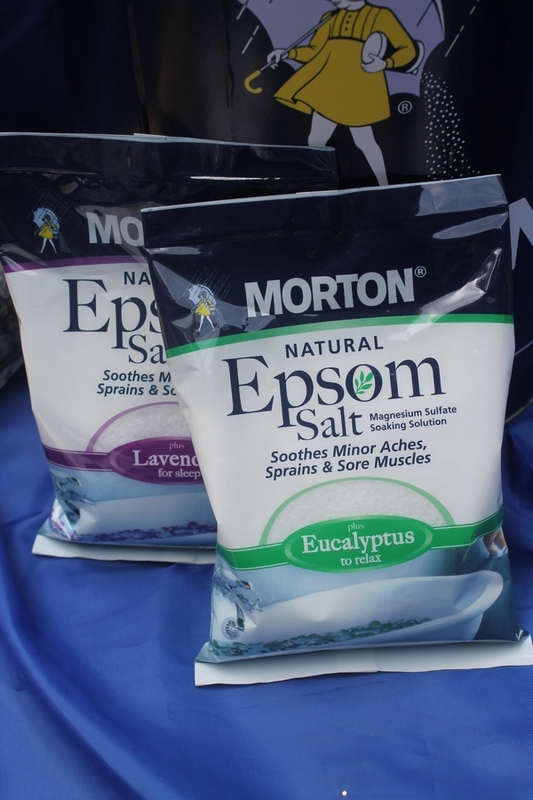 Before this, I had no idea that Morton made Epsom Salt! Let me tell you, their Eucalyptus scent is so wonderful for when you have a cold! Mix them in a bowl and set aside. Fill a large bowl or basin with warm water. Soak your feet for 10 minutes, then massage the foot scrub all over your feet. Soak for about 5 more minutes, rinse and dry. Your feet will feel soft and wonderful! I also decided to make a little something for everyone to take home. 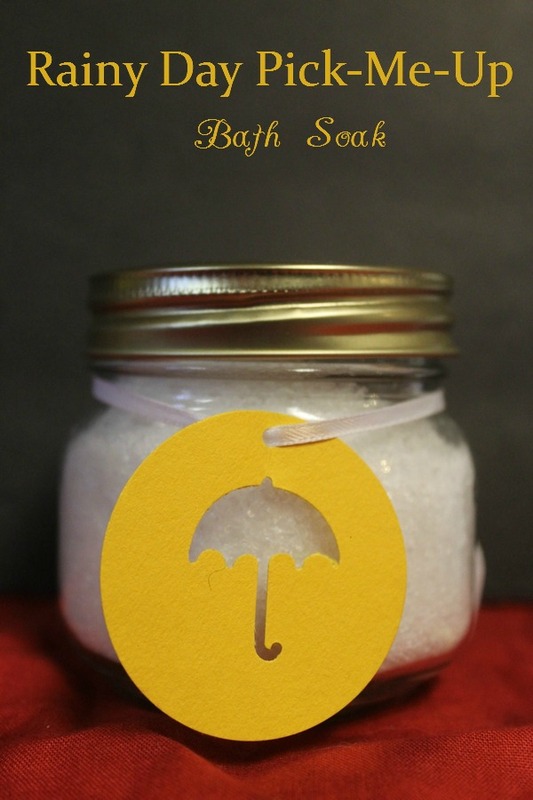 This bath soak is perfect for when you’re feeling grumpy! Make it in a big batch, then separate it into small mason jars. Combine all into a bag, shake well, then divide into containers. Make sure you use good, authentic essential oils! I used DoTerra oils that Kierston from Essential Oils Expert sent me. If you prefer a stronger relaxing scent, go heavier on the lavender. I am more a citrus kind of girl. You can also use the lavender Morton Epsom Salts and just add the lemon. I tried to make salt dough for the kids, but my mistake was attempting to color it. I don’t think I used enough food coloring and it came out swirled, but not in a pretty way. Epic fail! If you want to try your own, just mix 1 cup Morton Salt with 2 cups all-purpose flour and 3/4 cup of water. I ended up needing more water though, mine wouldn’t get doughy without it. Even though it came out, well, hideous-looking, it was still fun to play with! I’m thinking I’ll try again and make salt dough ornaments this year with Jake! After hosting my Morton Salt Girl’s Spa Day bash, my guests were surprised at all the great uses for Morton Salt! Do you know of any other uses that I missed?